You can’t help but get a bit intimidated by Sarah Best’s resume. The CEO and Chief Strategist of Sarah Best Strategy, Sarah works with Fortune 100 companies. 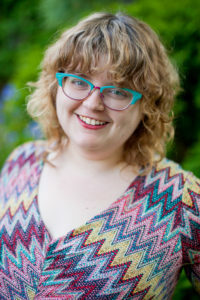 Her work has been featured in Mashable and TechCrunch. She’s been tapped to speak at Social Media Week for the MacArthur Foundation. She’s an alumna of New York University and the University of Chicago. Believe us, the list goes on. Join us for Sarah’s presentation on Tuesday, February 27, from 5:30 PM – 7:00 PM at Vintage Brewing Company on Madison’s west side. Co-sponsored by AMA Madison and Winbound, tickets are just $7 for members and $10 for non-members. Admission includes one drink ticket and snacks. Register soon–only 35 spots are available! We recently spoke to Sarah about her presentation. Q: You’re going to discuss how to get your social media team to produce amazing results. You’ll be talking less about writing the content for the posts, and more about how the team functions. Can you give us some examples of issues that can affect a team’s performance? Sarah: The mission of my agency is to give every company the tools it needs to succeed on social and search, within their organization’s unique vision and constraints. As part of that work, we audit a number of social media programs, from companies that have a handful of accounts, to large international organizations with 200 accounts and dozens of social media managers. A common thread that I’ve seen in a lot of our audit work is that a lot of the problems people experience don’t have a lot to do with how well their Facebook posts are set up — but more to do with people problems. A common example is that social media is not happening strategically because content is coming in from different people or departments at the last minute, where social media becomes an exercise of constantly putting out fires. In other cases, agencies were dumping strategy on a client, but the strategy wasn’t getting implemented because the team was missing a critical tool or training or timeline to really put the strategy into place. Those are the types of problems that I work with clients to solve because when it comes down to it, the people on your team matter. Figuring out their strengths, what motivates them, and what roadblocks are keeping them from doing everything they want to on social media is a core part of my practice. Q: You’ll be touching on workflow and scheduling. What are some weaknesses you see in these areas? Sarah: You’d be surprised at how many teams are lacking the tools they need to schedule content, have a strong approval process in place, or pull good metrics. Often, people are not on the same page about their content. I’ve seen a lot of businesses miss obvious opportunities to cross-promote products and programs because they aren’t all sitting down together to talk about what’s coming down the pipeline. My team often goes into offices with a framework and workflow, which can engage executives who have the vision for their business, alongside mar/com professionals, sales, and customer service staff who are on the front line with clients. You also need workflows that are dead simple, because again, the best laid plans aren’t helpful if they can’t be implemented. Q: Why is a shared vision important? Sarah: Having a vision for your social media program is incredibly important because it helps get everyone on the same page about the “why” behind your social media program. Knowing why you’re doing social helps you stay laser-focused, and facilitates making critical decisions about staff bandwidth, training, metrics, and budgeting both for professional development and advertising spend. Q: You mentioned the right training and tools are important, and that they don’t cost a lot of money. Can you give us an idea what that might include? Sarah: Yes, one of the things that I often recommend is finding out who on your team is really strong at a particular skill, and then starting a peer-to-peer brown bag lunch series to have everyone teach their strengths to the rest of your team. Helping your team feel proud about their strengths and successes is also a critical part of keeping a team motivated, which will help them succeed. Sarah: What kind of results have you seen clients achieve after following some of these suggestions? We’re often talking about the difference between working strategically and not working against goals. Some of the results include bringing underperforming accounts up to industry benchmarks, or internal or competitive benchmarks for account growth and reach. Some are shedding accounts that are no longer useful to them. For some, it’s improving staff retention by seeing the fires, and creating a more balanced workflow that serves everyone better. For others, it’s restructuring contracts with agency partners. Critically and perhaps less tangibly, it’s about building audiences and improving performance through better collaboration. It can mean the difference between effectively providing customer service through social, or not providing it at all, or working strategically and efficiently against goals, versus muddling along burning budgets, staff, and time. 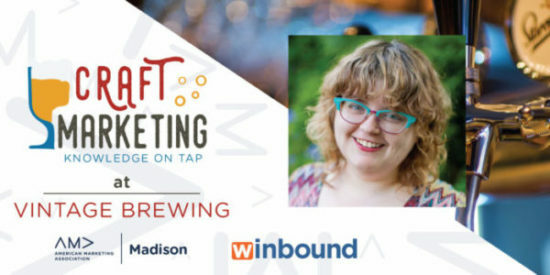 Click here to sign up for February’s Craft Marketing event!